Matt Breidigam is a Search Consultant for Alliance Search Solutions within the TalentLaunch Network. Matt’s niche is high level individual contributors to executive level management. His client profile consists of diverse manufacturing companies that perform at the top of their industries within North America. Matt builds relationships through an open and honest approach, based on transparency for both customer and client, high level process strategy, and execution rarely seen in the industry. With over 5 years in the industry Matt has partnered with major Automotive, Aerospace, and other Industrial Manufacturers. 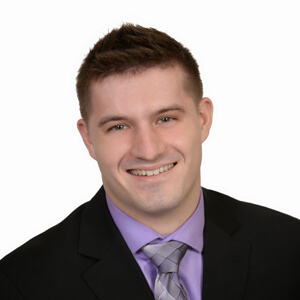 Matt joined the Alliance team immediately after graduating from The College of Wooster with a Bachelor of Arts in Communication Studies.